It’s World Smile Day on 6th October and Britannia’s flagship brand, Good Day is celebrating the day with a new, heart- warming and soulful digital film. A first-ever by the brand, the film is a narrative by an Indian Guard of Honour stationed outside India Gate and it captures a day at work - which requires him to remain solemn and un-smiling despite all the slice- of- life activities happening around him. The soldier is bound by his work circumstances to not smile, but at the end of every day, he reminisces the sights of the day and smiles broadly - which leaves the viewer wondering “What are my reasons not to smile more”? The purpose of the film is to emphasise the importance of a smile in our everyday life, through the eyes of someone who can’t. The film has been conceptualized and executed by J. Walter Thompson (JWT), Bangalore. 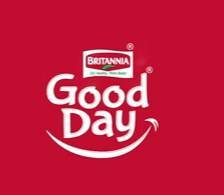 Smile More for a Good Day campaign, by the leading cookie brand Britannia Good Day, was launched last year with the intention of encouraging Indians to smile more. This film is the next milestone in Britannia Good Day’s journey which is a spirited pursuit for more smiles amongst millions of Indians. The only brand to live, breathe and symbolize this philosophy, identified individuals who by virtue of various circumstances are unable to smile as they please. The film has all the elements of humour, emotion and realism and is seen from the eyes of an Indian Guard. Motionless and un-smiling till his duty ends, he recounts the happenings of the entire day. The lady and her dog who are out for a walk, the child who competes with him on the mannequin challenge and the balloon seller who implores him to smile every day. All characters entertain him and even make him smile, but he holds back – because he is on duty. And every day, he waits for the moment when he is off duty and makes it a point to smile whole-heartedly. Its ‘Sellerbration’ time for Amazon.in!